WTF Are You Reading? 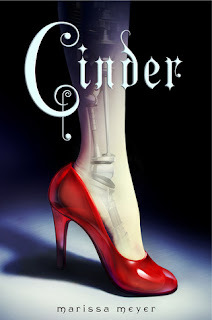 : Sneak Review: My Heart Burns for "Cinder"
In this retelling of the classic Cinderella, Cinder is a cyborg working as a mechanic in the day market of New Beijing. Though she is a gifted mechanic, her cyborg status makes her a second class citizen and a pariah to all who are aware of it. Little does she know that working to support her tyrannical stepmother Ari and her two stepsisters will put her in the path of Prince Kai, the mysterious and handsome heir to the realm...and change her life forever. I have closed the book and am still transfixed by Cinder and her mouthy android Iko. Cinder is a girl that knows how to survive, and though she has been dealt a hard hand in life she is determined to play it to her advantage. The author does such a good job weaving the cloak of mystery around Cinder's past that I am chomping at the bit to find out more about her. 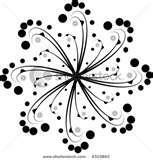 Though it is more than clear that there is no love lost between Cinder and her stepmother Adri. The love for her stepsisters, Pearl and Peony shines through. My heart sinks to my knees when Peony is stricken with the dreaded Letumosis. I can't wait to see how things will change for Cinder because of the loss of her sister and friend. Prince Kai needs Cinder to fix his android...why? Is it just a sentimental attachment from his past or something more? What will fixing the prince's droid mean for Cinder? I love the concept of Cinderella as futuristic dystopian. Given the "plight of the downtrodden" idea of the original work, this take in the retelling is a "key-in-lock" fit that not only allows Miss Meyer to rework the original tale but also to expound upon it in mind-bending new ways. This series is sure to break the "glass slipper" forever. Nice review. I can't wait until it comes out next year.